CW: This article discusses sexual assault and sexual harassment. Dr. Bianca Fileborn may seem an unlikely person to be tackling heavy topics such as sexual violence, quiet and well kept, she is doing important work to ensure the safety of music lovers. Her research in sexual violence and assault in music venues and music festivals has created a spotlight on the importance of these issues. We sat down with Dr. Fileborn in her Sydney office, and took a closer look at the research she has undertaken. “My research on sexual violence in licensed venues was based on my own experiences basically… going out as a young person in my undergraduate days and I had a period of about six months where every single time I went out something happened”. Like many young people nowadays, they go out to gigs, festivals and other concerts. Often someone may have experienced sexual violence in some way or another, whether they realise it themselves or not. Dr. Fileborn has her PhD in criminology, writing her thesis on sexual violence in licensed venues on Melbourne. She also worked at the Australian Centre for the Study of Sexual Assault where she looked at many aspects of sexual violence and decided to do her research on Sexual Assault. “The stuff that we’re doing now around music festivals was definitely sparked by last year’s round of festivals, where there were four or five assaults at Marion Bay Falls Festival, and Rainbow Serpent had a few high-profile cases as well that were in the media.” While music festivals have always been a common place for people to come, and enjoy live acts and artists, unfortunately they have also become a space in which people take advantage of people. In Dr. Fileborn’s book Reclaiming The Night Time Economy, she had outlined how certain settings and social circumstances are key to understanding why sexual assault occurs. “It’s about saying that the particular social or cultural contexts that you’re in can play a role in how sexual violence unfolds. That’s not to say that setting causes sexual violence, because we know that sexual violence happens everywhere and its related to much broader power structures and qualities. “It is about saying that perpetrators can use the norms of spaces to engage in offending behaviour. With somewhere like a licensed venue, and a music festival as well for that matter, something like the fact that people are drinking alcohol and taking drugs, that’s something that can be taken advantage of. This research into licensed venues has also spread across to the LGBT community. Included in her work, Dr. Fileborn has researched into sexual assault within these communities and how it affects them. “I’ve always been inclusive of LGBT communities in my research on sexual violence because it’s again, such an under researched issue. Usually when we talk about sexual violence people have a mainstream understanding that it’s something that heterosexual cisgender men do to heterosexual cisgender women. “The small amount of research that’s been done suggests that’s not the case. People in LGBT communities, the rates of sexual violence are about the same if not higher than what heterosexual women experience so to me that really says that we can’t be doing this kind of work without being inclusive of LGBT communities”. Through her work, she has gained an understanding of what many of the people within the LGBT community value regarding their safety. “One of the key things that came out from my PhD research was that for a lot of LGBT people feeling safe was really often about not experiencing transphobic, homophobic violence and abuse when they were going out. That was often privileged above other types of safety, so LGBT people would often tell me that they felt safe going out to queer venues and then five minutes later they tell me about an experience of sexual harassment or assault that happened in a queer venue. “That was really downplayed because they were safe in another way in that space and those spaces were so valuable because they were somewhere that you could go and people talked about being able to kiss your partner, being able to flirt with people, not having to worry about whether they’re straight or queer or whatever or not having to be worried that you’re gonna get attacked for using the wrong toilets in a venue”. 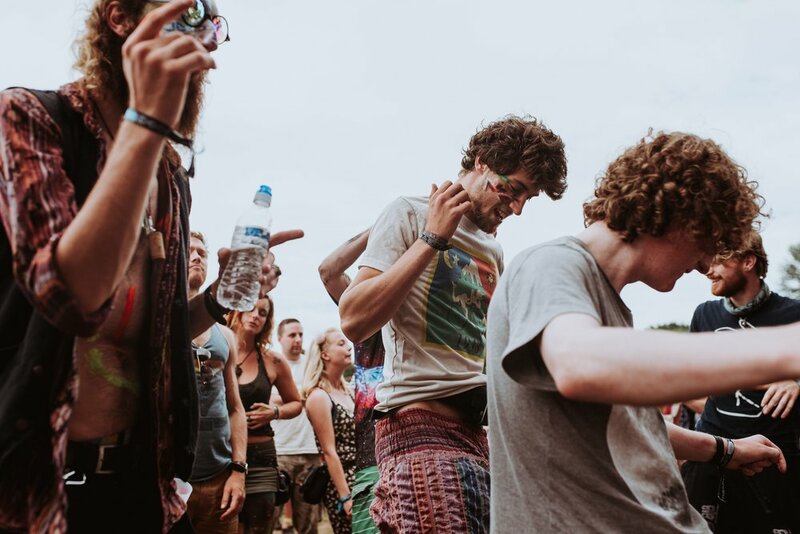 The research that Dr. Fileborn has done into music festivals has allowed more attention to be given to the needs of festival goers and their safety. Music Festival organisers have reached out to Dr. Fileborn, asking her to advise on potential policies for festivals to follow and procedures that could be essential for patron’s safety. The research into sexual assault in music festivals is still be performed by Dr. Fileborn. Although the information she has is plentiful, there is still a way to go so that music festivals can have strict policies and procedures to ensure peoples safety and their ability to enjoy themselves at these festivals. Surveys for the research have closed but interviews are still be conducted to better understand sexual assault and harassment at music festivals. If you wish to contact Dr. Fileborn to be a part of the research her contact details are listed below along with links to other research she has performed. Fileborn, B. (forthcoming). Justice 2.0: Street harassment victims' use of social media and online activism as sites of informal justice. British Journal of Criminology. Fileborn, B. (2016). Reclaiming the night-time economy: unwanted sexual attention in pubs and clubs. Palgrave Macmillan. If you have experienced sexual assault or sexual harassment and need help such as information and counselling, please contact 1800RESPECT at 1800 737 732 or visit their website at https://www.1800respect.org.au/.